The wife had only wished for one thing, and one thing only�c but when she realized that her wish would not come true, she began plotting a dreadful revenge on her husband. Married to a beautiful wife from rich family and running his own caf&#233; business which he started after leaving a major advertising agency, Kohei Mochizuki (Hideaki Ito) seemed to lead a picture-perfect life that anyone would be envious of. However, underneath the surface, Kohei was tired of having to do things to please his overly-controlling, manipulative wife Maria (Yoshino Kimura). To put an end to his misery, Kohei decides to kill his wife Maria and plots a murder with his lover. One day, as he comes home and finds what appears to be blood on the floor. Maria, however, is nowhere to be seen. Kohei then becomes the suspect in her possible murder. Well written, good job by all the actors. They keep you guessing. Surprised me. 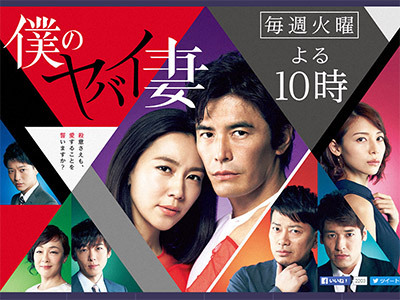 Kimura Yoshino was great in this drama.